Last year I put together an epic map from Dyson and Stonewerks geomorphs. It got quite a lot of traffic, arrived on reddit and as people thought it was the bee’s knees I followed up with a tutorial to build more of the same. Many thanks to both Dyson and Stonewerks for the support. A floor plan demonstrates the organizational logic of a building; a section embodies its emotional experience. 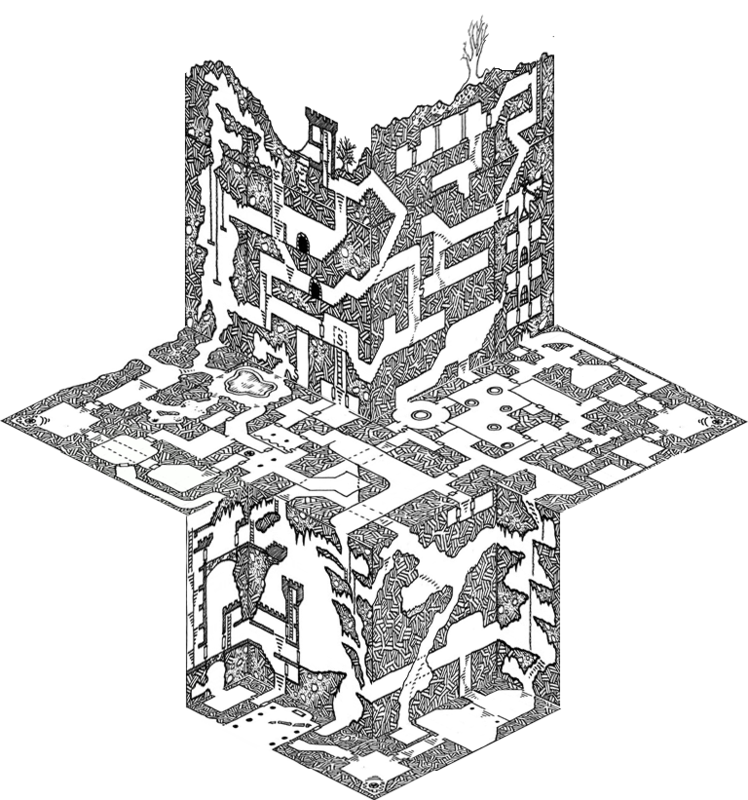 Yep I know dungeon geomorphs dice came out already, but a webapp that mashes up side cuts and planimetries would be awesome. As I’m a lazy-thing, enjoy the photoshop I should have done a long while ago using Stonewerks’s & Dyson’s geomorphs… as they are awesome and must be used to build cool stuff. By the way, I finally wrote a really easy tutorial on how to modify geomorphs to build maps like this. UPDATE: Qubish polished the map and numbered the rooms on his blog “Of Dice and Djinn“. 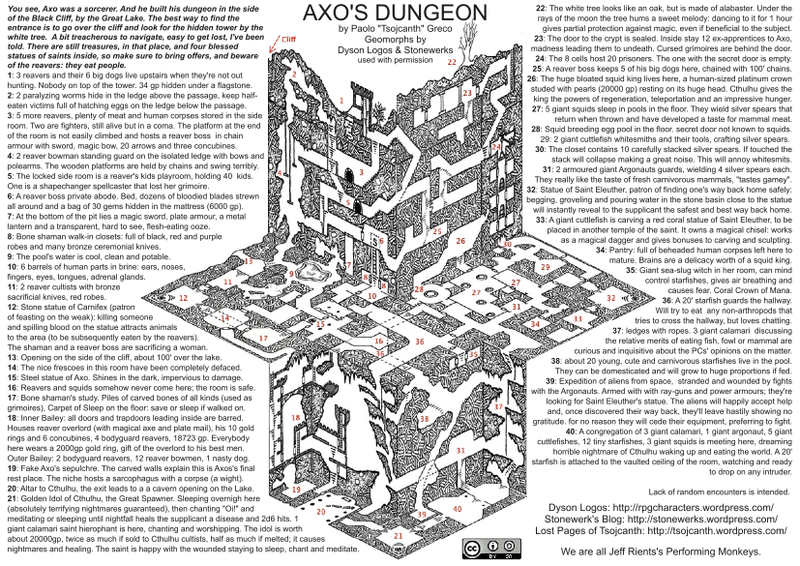 UPDATE: grab the one page dungeon: Axo’s Dungeon!